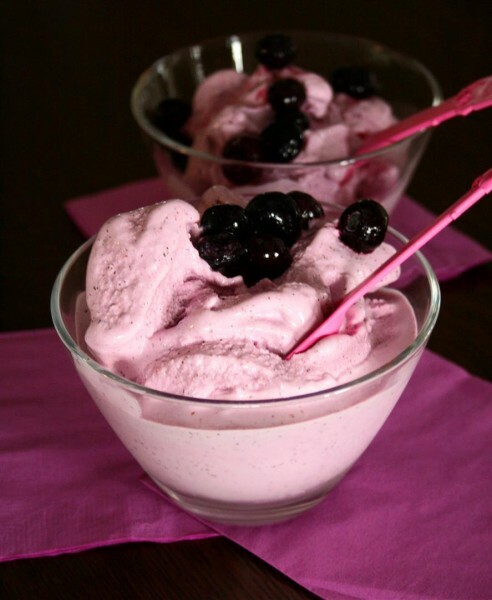 Low Carb Blueberry Frozen Yogurt was posted on October 17th, 2013 and is filed under Desserts, Gluten Free, Kid Friendly, Low Carb, Recipes. This entry has 6 comments. You can follow any responses through the RSS 2.0 Comment Feed. I refuse to say goodbye to the food that is an emblem of sweet summer. Anyway, let’s get real, I love frozen yogurt too much to give it up at any time of the year. My mantra is “Don’t say no to the Fro…Yo.” The mantra also reflects the fact I’m writing this post ahead of time, in the darkness of night, when I’ve had far too much caffeine stimulation. In order for this recipe to be shamelessly creamy you’ll want to use the 11% fat Greek yogurt (which is to LIVE for!). This recipe is ridiculously amazing, easy, low carb, no sugar, and serves 4 people. Blend everything up in a high-speed blender. Pour into your ice-cream maker according to the manufacturer’s directions until thick. 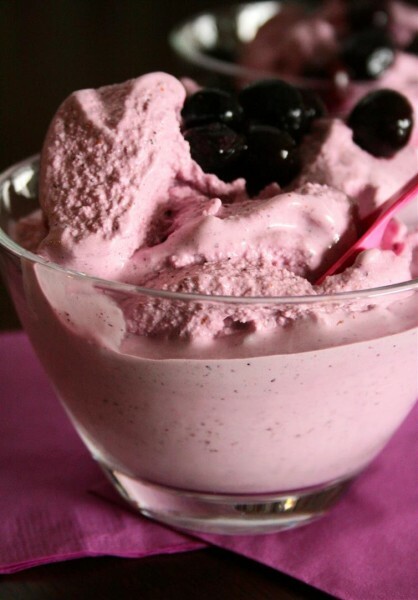 Spoon into bowls, top with blueberries, and enjoy! Time to live the dream! 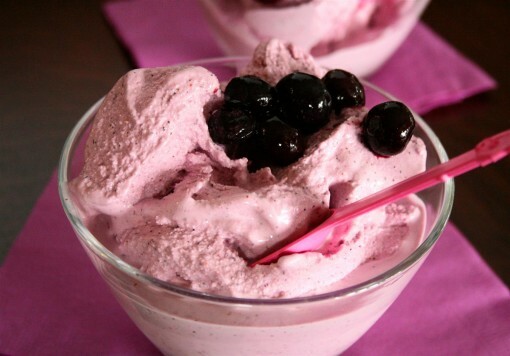 Want more FroYo recipes that are GOOD for you?! Try these! What’s your favourite fruit flavoured froyo? Even though it’s getting cold, I’m finding that I’m still craving ice cream. This is a much better (and healthier) alternative. Thanks for sharing! What kind of yogurt is that? 11%? Not heard of that. Can you use the nonfat Greek yogurt? Sarah – It is a yogurt with a higher percentage of fat kept in the yogurt. Basically, it just makes this recipe a little more indulgent…you can use any plain yogurt for this recipe…I just like it creamier.